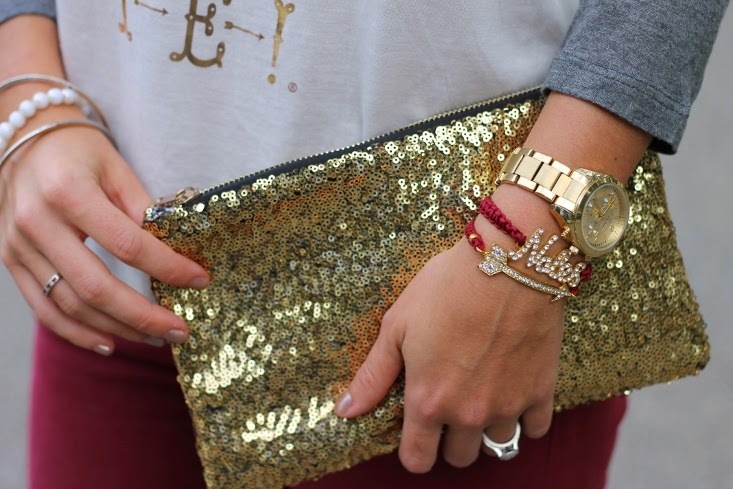 Outfit Post: Leopard & Camo & Sparkle, Oh My! 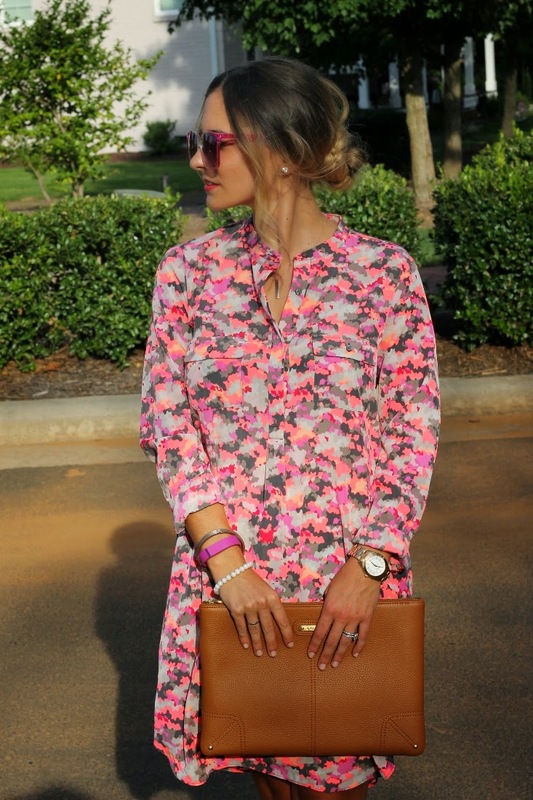 Sole Society "Smythe" Sunglasses in c/o || Michael Kors "Bradshaw" Watch || J. Crew Pave Link Chain Bracelet || Sally Hansen "Cinnasnap" and OPI "Goldeneye" nail polish || Maybelline Vivids Lipstick in "Electric Orange"
P.S. It's seriously a total coincidence that I'm carrying some Starbie's in today's outfit post, which actually falls on National Coffee Day. I guess I just have good timing like that. Last week you guys went crazy for this outfit on instagram, which is proof that mixed prints is still totally "A Do." 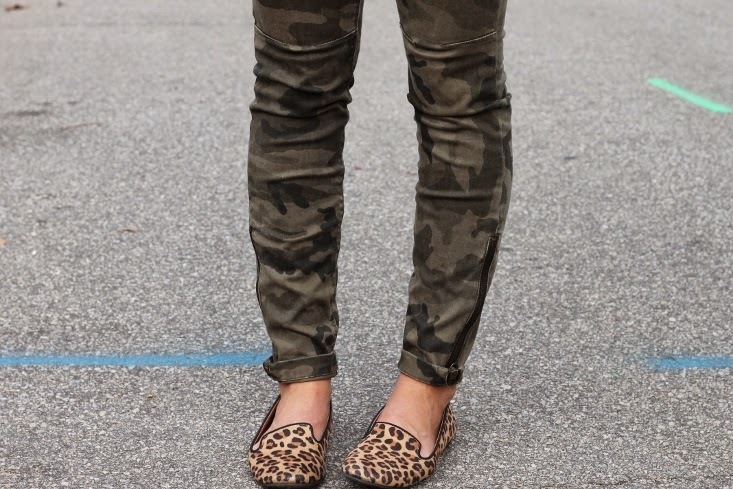 And while I don't think I'll ever get tired of a mixed combo, it's nice to know that camo and leopard can still get some action together (it's one of my favorites) I know you guys love my loafers, but I'm telling you, these flats are a dead ringer and such a good price! Don't wait on them - I wear mine year round and with everything. I've been awake since 2AM this morning, Just couldn't sleep. I think I was still wired from my amazing weekend. I went to the NC State - Florida State game here in Raleigh. We tailgated, drank beer and couldn't have asked for more perfect weather. It was such a close game and NCSU put up a good fight, but thank gosh we pulled it out in the end. I also wore one of my favorite #BADxGameDay outfits so far. (Here's a sneak peek) Can't wait to share the full look with you! For the Clemson game, I knew it was going to be stressful so I wanted to be as comfortable as possible. 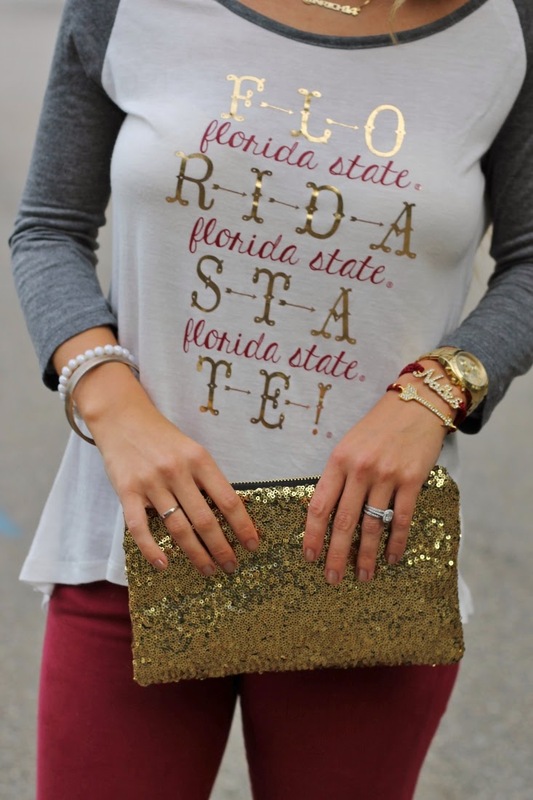 A lightweight tee, comfy flats and jeans were the perfect game day look for this serious nail biter of a game. Enter OCJ Apparel [again!] They've got a ton of branded school's to choose from (like LSU, Alabama, South Carolina... yes even UF. 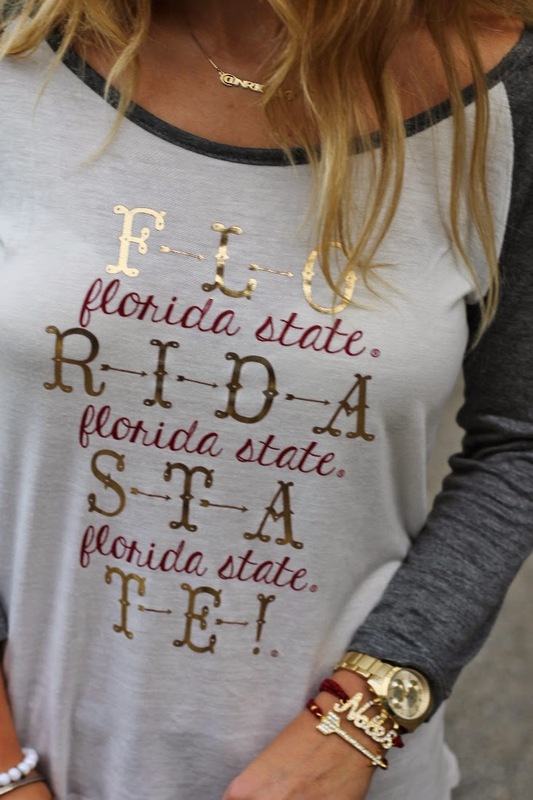 But if they don't have your school's embroidered option, they have just about every color under the sun so you can still rock your team's colors. (note they run a bit long so if you're shorter, you will need to get them hemmed.) And you can never go wrong with anything from Twelve Saturdays. Liz is a total rockstar when it comes to finding awesome Game Day apparel. She restocks weekly (practically daily it seems!) so make sure you're following her to see all her new arrivals. 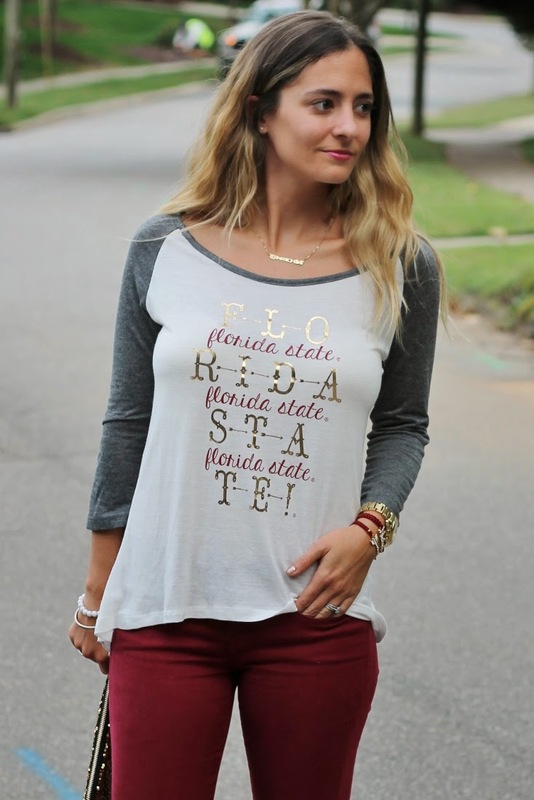 Loving this Nole Tank for all you Seminole fans out there! More amazing Game Day brands are coming your way in the next few weeks. So stay tuned and be on the lookout for your next tailgating outfit. 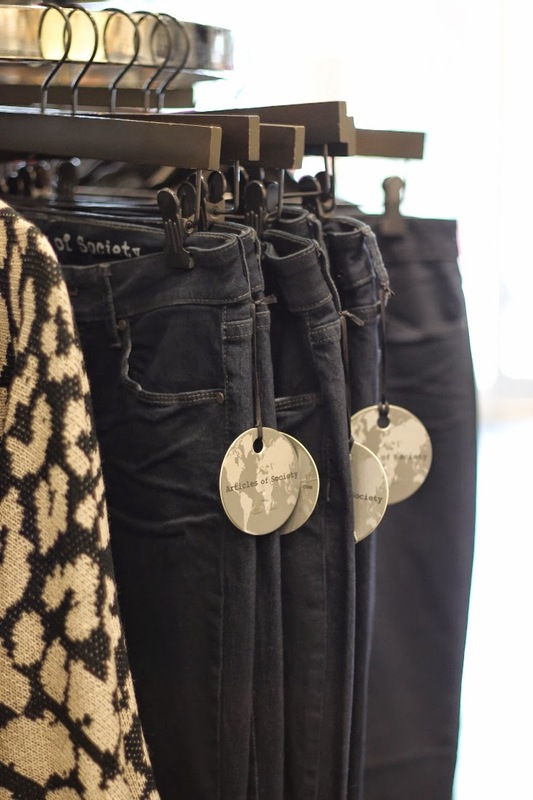 Until then.. shop OCJ jeans below. Happy First Day of Fall! I can't believe it's already almost October, but I for one am SO excited about Fall. I can't wait to wear oversize sweaters, boots, drink tons of pumpkin coffee and eat soups until my heart is content. 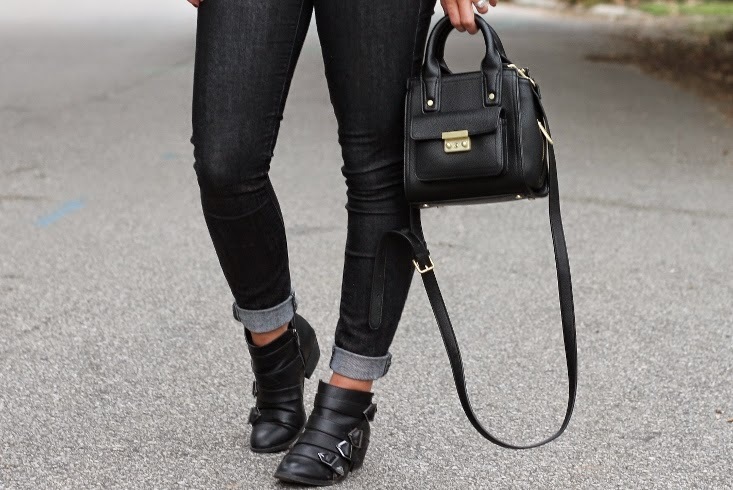 I already got the ball rolling on fall dressing with this all black ensemble. You know I'm a color lover at heart, but sometimes a girl just needs a good black outfit [that doesn't involve a funeral dress.] 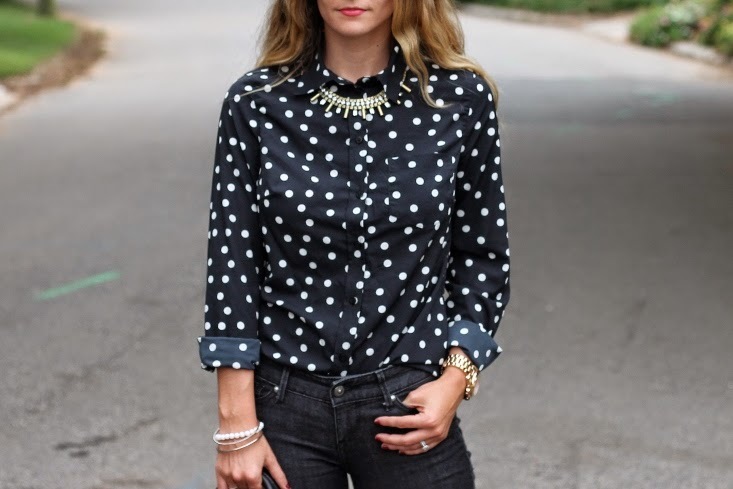 I scooped up this polka dot blouse on major sale at Target while shopping for the Altuzarra for Target collection last week. I can't wait to wear it with skirts and tights or underneath sweaters over the next few months. What's your favorite part of fall? Have a great Monday loves! I really do love when Target releases their designer collaborations. 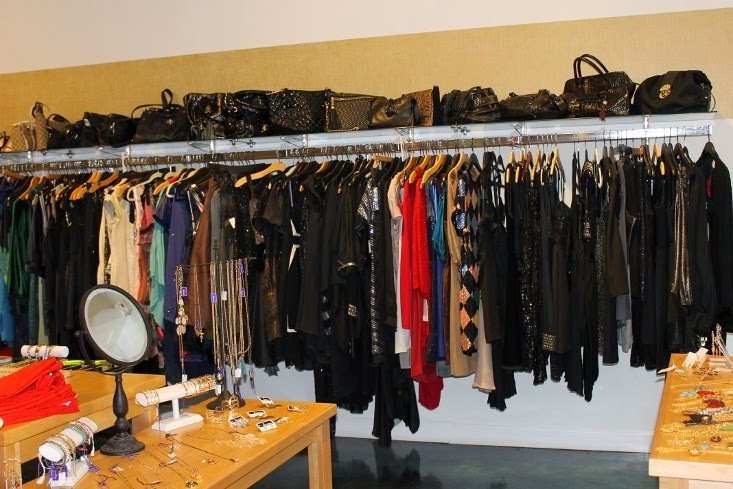 Part of the fun is getting up early and actually visiting the store to see the clothes in person. And not every collaboration is the best, but I really liked the Altuzarra for Target collection. The main color palate was wine and black with luxurious gold accents and embroidery. 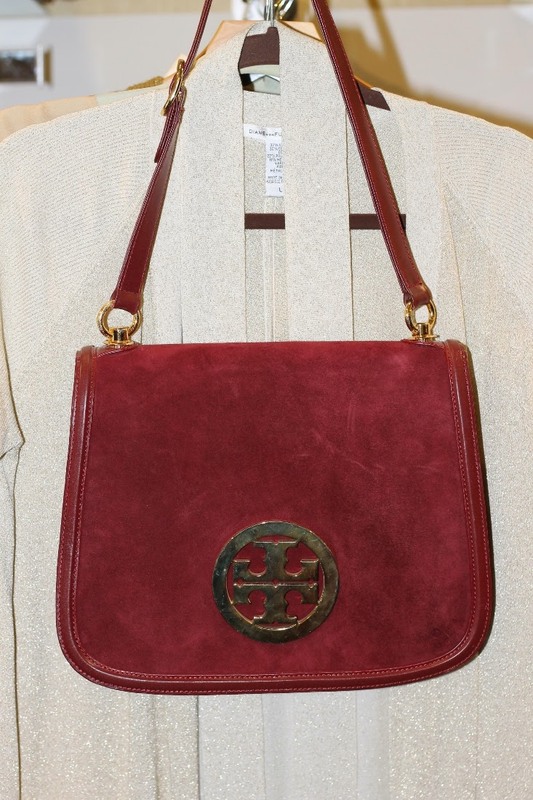 It's beyond perfect for the upcoming fall and winter seasons. I bought the crane sweater and the peasant dress. I absolutely loved the wine colored wrap dress and the crane dress but they were just cut a little too low in the front for me. I also really wanted to check out the velvet tuxedo blazer and tuxedo pant but my target didn't have those. Also how cute is the PJ set? Happy Monday lovelies!! Was your weekend good? Mine was pretty low key but still amazing. I'm a pusher.. you know like Ms. Norbury was [accused of being] in Mean Girls? Let me explain.. I finally got Bill as addicted to Scandal as I am. Like, we binge watched the entire third season starting Friday night and finished Saturday at 11 PM. Sick, right? But it's just so. damn. GOOD. Someone needs to come up with a "What Would Olivia Pope Do" graphic tee. Like STAT. Anywho... let's talk fashion. I know this outfit is composed of mostly older items, but I've found some almost identical versions for you to shop (like this skirt or this top) I love tweed skirts because you can sport them starting towards the end of summer, and all the way through the beginning of spring. They're good for work (like this outfit) or play and can be worn with pumps or tights and boots (hello winter!) Plus I happen to think the circle skirt shape looks good on lots of different body types! What do you think...? Revlon Lip Butter in "Lollipop"
1. My dress is length appropriate (which is apparently a struggle for some ladies) It hits above the knee and below the thigh which to me is the "sweet spot length" because it's not too short and not too long. It's juuuuust right. 2. My dress FITS. I cannot say enough how important this is when interviewing. Remember you're trying to make a great first impression here. If your outfit is too tight or too baggy it might send the wrong message (either I like to party it up or I don't care enough about this job to find something that fits) Even if you have to take it to a tailor - do it. I promise you it will make a world of a difference. 3. It's not black. Now, this isn't like a requirement or anything - black is certainly appropriate and okay for interviews. But I like the Navy color because it's not traditionally black. Plus it adds a splash of color without being overly flashy. 4. To me, pumps are always a smart shoe choice. I decided to wear a printed pair which helps shows off my fun and whimsical side, but the shape of the shoe still says "I'm serious!" 5. Lastly, keep accessories to a minimum. 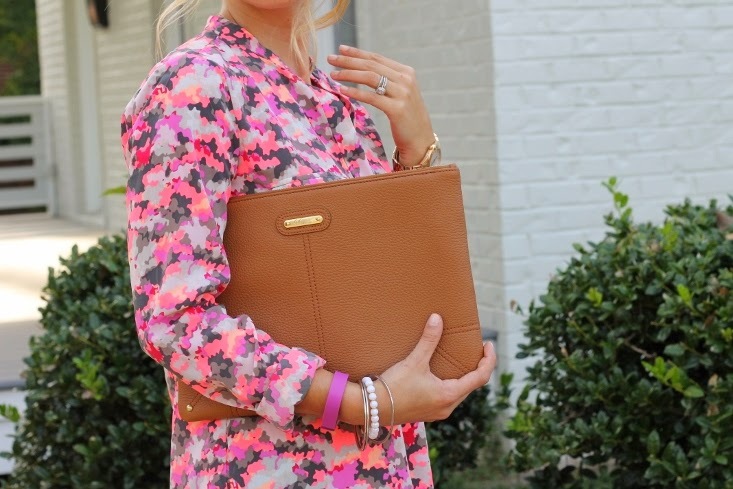 I usually pick a [smaller size] statement necklace, a few bangles and a watch. That's about all you need. Sure you may be like me and like to wear 543693 bracelets, but meeting a potential boss is not the time or the place. If you talk with your hands (as most people do) they're too distracting and loud. Do you guys have any interview outfit tips you'd like to share? I'd love to hear your ideas and thoughts about this... anyone else ever stress out about what to wear?!? Oh & P.S. I got the job!